Scott DeRue is the Edward J. Frey Dean of the Stephen M. Ross School of Business at the University of Michigan. He is also the Stephen M. Ross Professor of Business. DeRue joined Michigan Ross in 2007, taking on multiple leadership roles across the school over time. Prior to his deanship, DeRue served as the associate dean for Executive Education, professor of management, director of the Sanger Leadership Center, and faculty director of the Emerging Leaders Program. 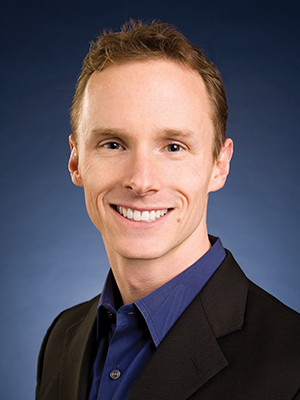 Scott has been reported to be among the 50 most influential business professors in the world, and among the top 40 business professors under the age of 40. He conducts research and teaches in the areas of leadership, team performance, and human resource management. His most recent book, Experience-driven Leader Development, uncovers best practices for developing leadership talent at all levels of organizations. His award-winning research has been published in journals such as the Academy of Management Review, Academy of Management Journal, Journal of Applied Psychology, Organization Science, Organizational Behavior & Human Decision Processes, Personnel Psychology, Research in Organizational Behavior, Leadership Quarterly, and the Human Resource Management Journal. Scott is a frequent speaker for companies and organizations throughout the world, and is often featured in media outlets ranging from BusinessWeek, Harvard Business Review, the Washington Post, and the New York Times. He is also the Associate Editor of the Journal of Applied Psychology, a leading journal for research on psychology and human behavior at work. Drawing upon his research expertise, Scott is often sought out to advise organizations on issues related to leadership, change management, team development, executive selection and succession, and human resource management. His clients span five continents and include Fortune 100 companies, startup enterprises, championshipwinning sports teams, and non-profit organizations. Scott is also a managing partner at ChiBor Angels, an angel investment firm. Prior to joining the University of Michigan faculty, Scott served in leadership positions at the Monitor Group (now Monitor Deloitte) and Hinckley Yacht Company. He received his Bachelor of Science in Business Administration from the University of North Carolina at Chapel Hill, and his PhD. in Management at Michigan State University. Scott DeRue has 2 products available, viewing 1-2.